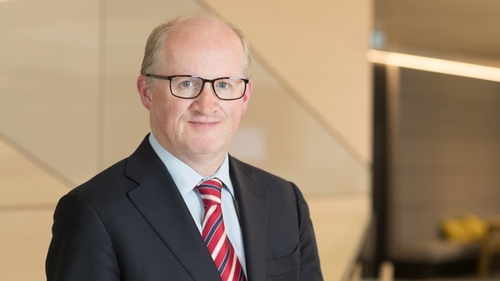 The Governor of the Central Bank has warned that a failure to properly plan for the impact of climate change could have a detrimental impact on the economy and lead to another recession. Philip Lane made his comments in an economic letter, delivered to an audience at NUI Galway this evening. In it, he states that the transition to a low-carbon economy will require a considerable investment by households, businesses and the State. Mr Lane says it is vital that the pace of transition is measured and sustained, to avoid the risk of a sharper adjustment at some point in the future. He says carbon taxes will have a central role but that financial firms also have to incorporate climate change into their strategic plans. In his address, Mr Lane says the global banking community is increasingly focused on the challenge of making the financial system resilient to the demands that it will encounter, as a result of climate protection actions. The Governor outlined several areas that will be impacted by an increased focus on carbon emissions in the coming years; homes will have to be retrofitted to reduce energy consumption, with much of the finance provided by loans. In addition, home owners will need to be in a position to absorb the cost of non-insurable risks as a result of severe weather events. They also face spending challenges in relation to transport. Mr Lane said it was vital that there was a steady shift to electric vehicles, to minimise the risk of a severe shock where people would be scrambling to sell oil-fuelled cars. He warned that a balance is needed to avoid a switching rate that is too slow or too fast in the years ahead. Business owners will have to retrofit their premises to make them more carbon neutral, while the construction sector must be able to ensure a sufficient number of workers have the skills to facilitate a far reaching programme of building refurbishments for both domestic and commercial properties. From the point of view of central Government, Mr Lane envisages challenges to the public finances, as a result of the need to retrofit public buildings as well as the requirement to invest in climate protection measures like enhanced flood defences and early warning systems. Further funding will be needed to bring about a more environmentally friendly means of public transport. Mr Lane says all of these factors mean climate considerations have to be integrated into long-term budgetary strategy. He says there's an onus on the Central Bank to "drive momentum" in addressing climate change. A delay as a result of insufficient policy action or a slower roll-out of carbon taxes, would ultimately lead to a sharp policy shift in due course. Mr Lane says such a sudden transition would be sufficiently disruptive to trigger a general recession. Again however, balance is needed. An over-ambitious schedule for carbon taxes could also have a detrimental effect on a transitioning economy. Mr Lane says the challenges facing policy makers are not easily overcome and must be properly planned, taking a range of issues into consideration. Clear expectations should be laid out for companies operating in the financial services sector and the carbon transition must be incorporated into the Central Bank's assessments. This is likely to include revisions to the regulation of companies, to ensure they are not overly exposed to climate related risks. In summary, the Governor says a wide-ranging engagement with households, businesses, government and financial intermediaries is needed, to ensure that a balanced and structured approach is used to plot Ireland's response to climate change in the coming years.